I often find it hard to make a masculine get well card. However, I thought this cut from the Imagine More Cards cartridge worked pretty well. I just updated my Gypsy and Imagine so that they work together now. It's really nice to have my Imagine cartridges on the Gypsy and be able to design from there. For this card, my scalloped circle base is from the Wrap It Up cartridge, cut at 4.25", but I "hid" the onesie that would be cut out from it. 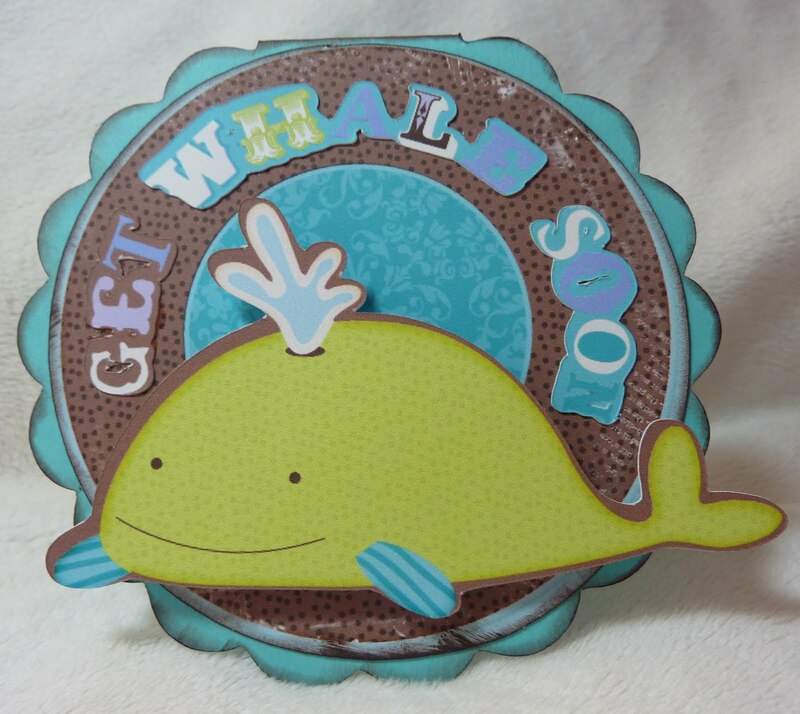 I cut my image from the Imagine More Cards cartridge at 3.9" in layers and attached the whale with an Action Wobble. I am loving shape cards. The colors are wonderful and the inked edges are a great touch. I love scallop shape cards. Very nice Katie.